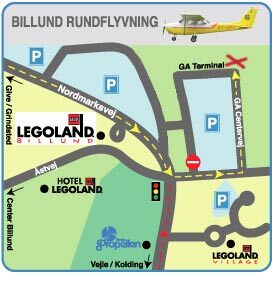 You will find Billund Sightseeing Flights on the parking area just across the main entrance of the LEGOLAND Park. approx. 200 Meters away, when you walk in easterly direction.